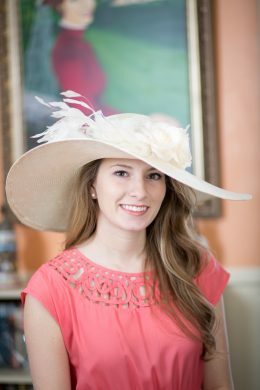 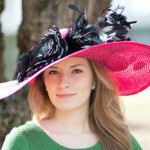 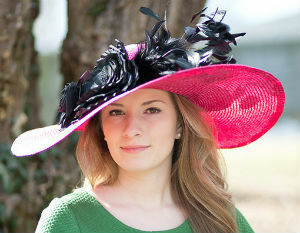 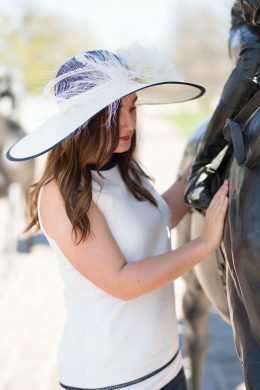 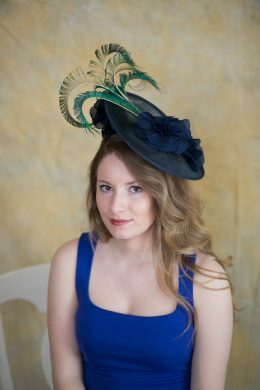 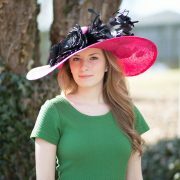 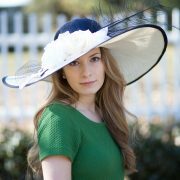 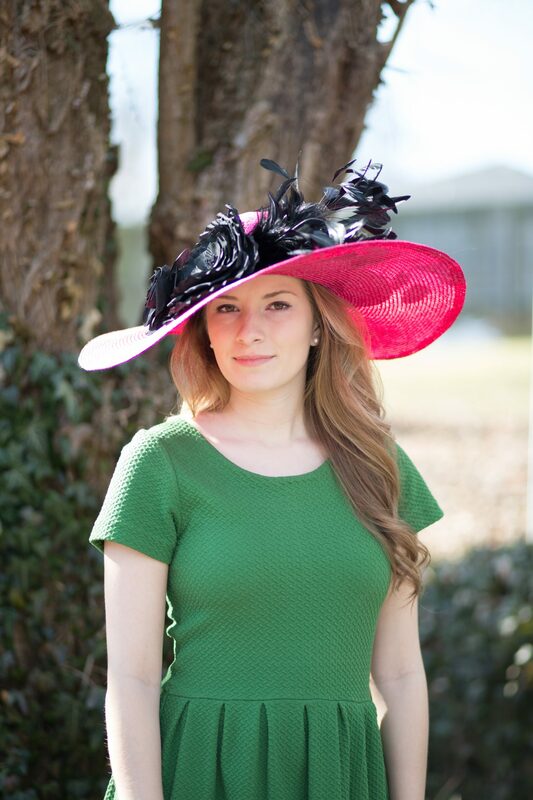 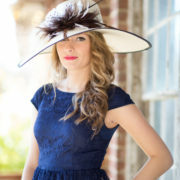 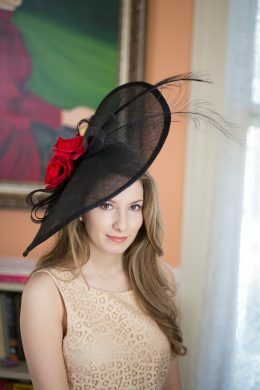 A great choice for the Kentucky Oaks, Easter or a spring wedding, Chloe is a hot pink and black hat. 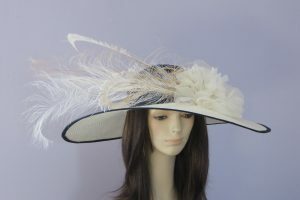 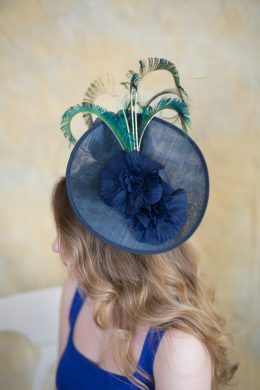 The oversize brim is executed in finest parisisal straw and accented with a rich black satin band. 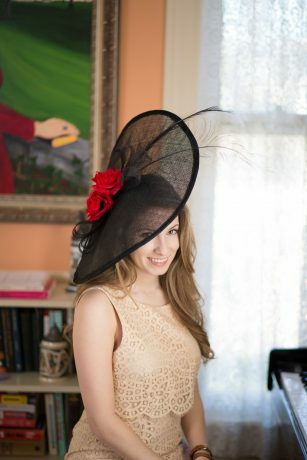 Black feathers and a black silk rose finish Chloe off in style.